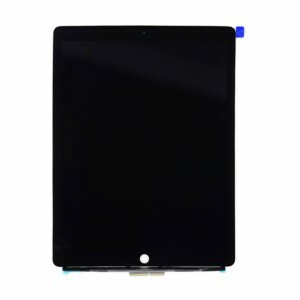 Here at our store, we offer the highest quality iPad Pro 12.9 aftermarket parts for sale. Whether you are looking for a screen replacement, charge ports, or volume buttons, we have got you covered and more. Much like Apple themselves, we take pride in offering the highest quality components. After all, we know most Apple consumers value quality over everything else. However, we manage to offer the highest quality components and exceptional customer service without the premium pricing. We strive to offer high quality at exceptional value. Find our currently available components on this page. For iPad Pro 10.5”/ iPad Pro 2nd Gen - Battery It's no secret that Lithium ION batterie..
Has your white home button function started to malfunction? Then perhaps its time to replace the hom..
Has your black 4G version of the iPad Pro 12.9" headphone audio jack stopped working? Then iParts4u ..
Has your black Wi-Fi version of the iPad Pro 12.9" headphone audio jack stopped working? Then iParts..
Has your white 4G version of the iPad Pro 12.9" headphone audio jack stopped working? Then iParts4u ..
Has your white Wi-Fi version of the iPad Pro 12.9" headphone audio jack stopped working? Then iParts..
Damaged your iPad Pro 12.9" Wi-Fi and Bluetooth antenna? Or perhaps the Wi-Fi or Bluetooth signal is..
Has your black 4G version of the iPad Pro 12.9" charge port stopped working? Then iParts4u has the ..
Has your black Wi-Fi version of the iPad Pro 12.9" charge port stopped working? Then iParts4u has th..
Has your white 4G version of the iPad Pro 12.9" charge port stopped working? Then iParts4u has the p..
Has your white Wi-Fi version of the iPad Pro 12.9" charge port stopped working? Then iParts4u has th..
Whatever is malfunctioning on your iPad Pro, you can rest easy knowing that we have the components you need to fix it. We know how much of a struggle even the most basic component malfunctioning on your iPad Pro 12.9 can present. Because of this, we work tirelessly to offer our customers same day despatch on orders placed before 4pm Monday-Friday. This helps to make sure our customers are able to get the spares they need as quickly and reliably as possible. Why Place Your Business With Us? Despite wanting premium components, we know you don't want to pay premium prices. For this reason, we work to offer not only the highest quality parts for iPad replacements, but we do so at unbeatable prices. This allows us to deliver exceptional value for the money. You shouldn't have to pay premium markups for your aftermarket replacements and we do our best to ensure you don't. No matter what part or component you end up ordering from us, you will be able to rest easy knowing that the part you order is going to be fully covered under our extensive warranty. This allows you to order your replacement parts with full confidence as we will replace the part if it fails to deliver what was promised. Restoring your tablet back to working order shouldn't be a hassle. You shouldn't have to pay significant markups on replacement parts nor the labour needed to replace them. 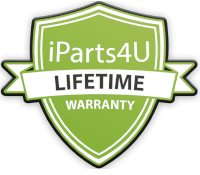 By ordering direct from us, you will be able to cut out the middle man and get your tablet back to working and looking as it should, at a fraction of the price that you would be able to without buying your parts from iParts4u. Let us help you get your iPad Pro back to looking and functioning as it should and you won't be disappointed. 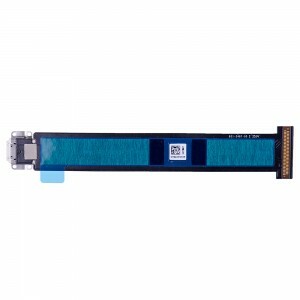 We offer everything that you could possibly need to bring your iPad back to life. Contact us if you have any questions about your repair needs, components required or the process of repair for your problem.